Learn more about legal forms LawTrades offers your business online. Includes info on LawTrades, free trials, pricing, customer reviews, and FAQs. LawTrades is an online message-based platform that enables users to find, hire, and work with lawyers, and offers online legal forms. LawTrades positions themselves as a company aiming to create accessible, quality legal services at affordable prices. Pros: Wide range of services designed to save your business time and money. Cons: Mixed reviews at times. Bottomline: As with any business that offer legal documents online, do your homework first to establish whether this is the best route for your business to follow. What is LawTrades's price range? LawTrade's pricing ranges between $220.00 and $1,280.00 for business formation, intellectual property and website services. LawTrades provides a price estimator on their website, which you can access by entering the service your business requires. Is there a LawTrades free trial? LawTrades mentions a free trial on their website, but they do not provide details. Where can I find the LawTrades login? LawTrades does not provide login information on their website. What are some LawTrades alternatives? We’ve been using LawTrades for just about a year now, and it’s been a great experience. We started looking for a startup attorney last year, to help us initially with an LLC to DE C-Corp transition. This was because we opened our equity pool in our company to issue initial team vesting contracts.I looked all over and talked to numerous attorneys who were crazy expensive. This was even on such simple items such as the transition process, reviewing safe docs, and all the small things that were needed during this transition.When I found LawTrades, I was truly blown away by the simplicity. Had a conversation going quickly via text , and had an awesome attorney, Jared Stark (even local to us), on the phone within a few hours. We had our entire process done quickly thereafter. No hassle. No headaches. No price gauging. It was such a great experience that I go back to Jared for every legal item we need, and constantly lean on his expertise. I’ve paid literally tens of thousands of dollars for legal services in the past. Therefore I was (and still remain) skeptical of big legal services.For instance, those where I’m paying through the nose, and there’s an opportunity cost associated with learning how to practice law yourself (if you take a DIY option).I am a fan of LawTrades because of the simplicity of how they approach legal work.I needed to re-home my company from Georgia to Delaware, and they put me in contact with a lawyer (hi Jon!) who is responsive, eager to help, and understands law as it relates to startups. Not only is this guy awesome to work with, there was a flat rate on the project. I’ve gone back to him several times afterwards, and he doesn’t nickel-and-dime me for follow-up questions about the move. Full disclosure: My company went through the same batch @ 500 Startups with them, but I don’t believe that we received any special benefits from LawTrades as a result. 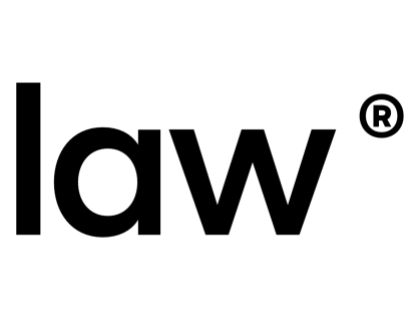 I did not have a good experience with LawTrades.At first they seem to be a decent company. So I decided to pay for a membership for a year: $420.00. I was reassured that I would be reimbursed the remaining months if I cancel. After a month, things changed and it wasn’t making sense to stay a member. I had to ask them, through the project manager (Ramses Delarosa) to cancel my account. It took him a month. As of today, I don’t have any refund on my credit card, despite my request for a refund. I have contacted my credit card company.Take a close look and you will see that there is no customer number or email. So if that project manager has no interest in canceling your account, you’re pretty much stuck where I am right now. Horrible company. I saw the positive posts on Quora several months ago, and decided to use LawTrades given the nice answers the founders say here. Unfortunately, my experience had been awful. The lawyer assigned to my task on LawTrades made obvious mistakes that an outsider (including my co-founder and I) can spot, and refused to correct those. The request for either correction or a refund went on for months without a smooth solution. The reason I chose LawTrades among other (less than one third of LawTrades charges) deals at startup school, was that I was hoping to build a work experience with a lawyer. (To become his/her loyal customers going forward, not just for this one simple task.) But it’s been three months since I asked the lawyer to correct the mistakes, and reported to LawTrades—after being rejected.In conclusion, I don’t think they handle customer feedback in a timely manner. Given this kind of customer service when things go wrong, I guess it’s really up to luck who you are assigned to.